Most women would agree that your salon professional should be one of your most trusted allies in life. After all, a girl can’t afford to be unsure! When you make an appointment for nails, hair or spa services, you need to know you will be checking into a safe sanctuary and leave looking and feeling fabulous from head to pedicure. That’s what Nail Boutique Salon & Day Spa in Myrtle Beach has striven to achieve with generations of clients since 1989. It’s a tradition that grandmothers and mothers have passed on to their daughters – for a growing clientele from wee ones to age 101 – because they know the team here keeps with the trends and the secrets of the trade. And that’s why you will want to make an appointment to experience it all for yourself. 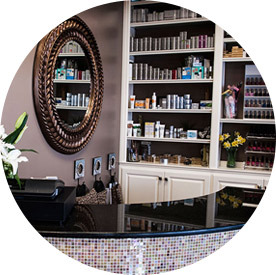 Nail Boutique Salon & Day Spa is a Myrtle Beach salon and day spa where customers can enjoy nail care treatments, pedicures, teeth whitening, facials, microdermabrasion, makeup for prom and weddings, massage treatments, waxing and both men’s and women's haircuts. Massage treatments consist of deep tissue massages, prenatal massages, sweet thai massages, aromatherapy and hot stone massages. Our hair salon offers cuts, styles, highlights & lowlights, weaves and up styles. Nail care treatments includes spa manicures, gel polish manicures and more. Nail Boutique Salon & Day Spa is located at 9614 North Kings Highway in Myrtle Beach, South Carolina.